The wallpapers from the last cycle were one of the finest collections we’ve ever had and we’re excited to see what you’ve all got to share with us in 2011. 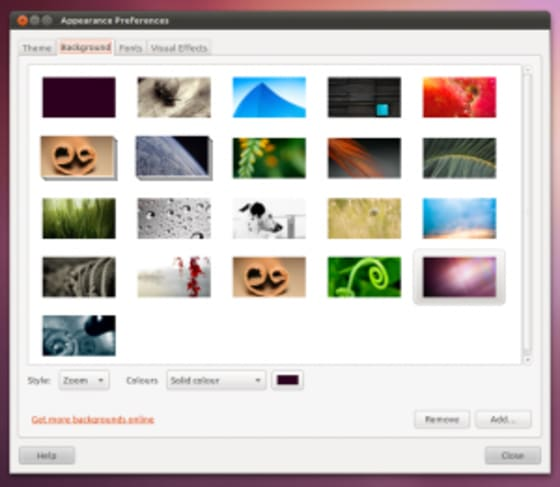 If you’ve got an amazing photo you’d like to submit simply head over to the Ubuntu Artwork group on Flickr, join up and add your photo(s) to the group. Please tag anything you’d like us to consider with the tag NattyWallpaper so that we know to look at it when judging comes around. If you have a rendering or drawing you’d like to submit we have a new site set up for handling submissions. It can be found at http://art.ubuntu-owl.org/. As with the Flickr group images should be tagged NattyWallpaper so we can review them more easily. For guidance on what formats are best to submit can I suggest you look at the excellent wiki page on the subject which can be found on the Ubuntu wiki at – wiki.ubuntu.com/Artwork/Documentation/Backgrounds. We recommend a minimum resolution of 2560 x 1600 and templates for GIMP can be found on the wiki page. Lastly we have to have selections made and a package accepted into the distro in time for the UI Freeze on the 24th March so we’ll stop accepting entries after 13th March 2011 so get snapping, sketching and thinking and we’ll look forward to seeing what you all come up with!